Progressives are rapidly going through the stages of grief as a result of the election of Donald Trump, and bargaining is where many are as we turn our eyes to 2017. Progressives can make good deals with Donald Trump, right? The actual bereaved will have better luck bargaining their grief, that God will in fact raise their dead loved ones to give them one last chance to say goodbye, than progressives will have anything to look forward to next year. I think we get this. But it’s important to state why. Unlike 2009, the conservative policy agenda is designed to not require any Democratic votes. The idea that a conservative policy agenda would create a dysfunctional system is a feature, not a bug. And the hope that conflicting factions of the GOP will provide opportunities to break them apart are not likely to pan out. But there’s some reason for hope, because their overreach and lack of preparedness will give us opportunities. I’m already seeing questions of whether the Senate Democrats will go the full McConnell, opposing the entire Trump agenda on day one. There’s probably going to be a lot of comparisons between 2009 and 2017 in general, especially over McConnell’s 2009 strategy of not cooperating and using aggressive Senate tactics to prevent President Obama from claiming any bipartisan victories. Will the Democrats do the same? What needs to be emphasized is the reason McConnell’s strategy was so effective was because President Obama’s agenda was designed in advance to appeal to conservatives and Republicans, to end up labeled as “bipartisan.” Cap-and-trade was seen as a market-friendly way of tackling climate change; Newt Gingrich had cut an ad with Nancy Pelosi about it. The Republicans had already passed a tax-cut driven stimulus under George W. Bush, and Obama was willing to also make the ARRA tax-cut heavy to draw their votes. And, of course, the Affordable Care Act was based off of Heritage’s model of an individual mandate and Mitt Romney’s successful efforts in Massachusetts, and Obama desperately wanted Republican support on universal health-care. Obama, but is he actually playing 11-dimensional chess? There’s no reaching out to liberals in the tax cuts for the rich and professionals, no attempted buy-in with the block granting and privatization of social insurance. 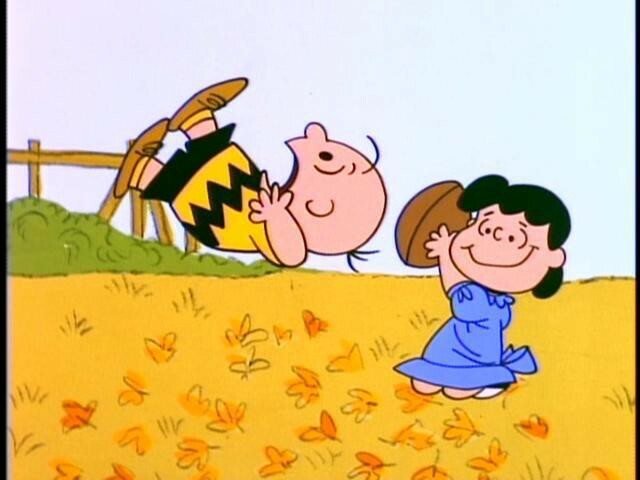 The CHOICE Act, which will be their financial deregulation effort, has no elements that would make financial reform stronger except a comically inept attempt to hard-code a single leverage requirement, one progressives experts immediately discarded as a poorly thought out gimmick. This is the part Trump signed on for too. So when Ryan passes his budget with no Democratic votes, that won’t be McConnell Redux. It’s what they wanted to do, and will have done. It also means that we are perfectly positioned to tell voters that the resulting mess will be them getting the conservative vision, hard. Republicans, in turn, can’t do any of the whining Democrats did about how they wanted bipartisanship and didn’t get it — they never wanted it. For those who don’t read policy, Trump’s infrastructure plan is basically like all the scenes in the Sopranos where Tony and Johnny Sacks fight over how quickly they can pillage the Esplanade project. Sadly, and I say this as someone with a cz in their name, the white ethnics like Tony (no doubt Trump supporters) and labor groups won’t see any of this windfall; it will instead be a bunch of WASPs in private equity funds. And with all due respect, the private equity guys will pillage these projects much more efficiently than the Sopranos ever could. This, too, has a long history. People are already saying to read Thomas Frank in the aftermath of this election, but they are reading the wrong book. 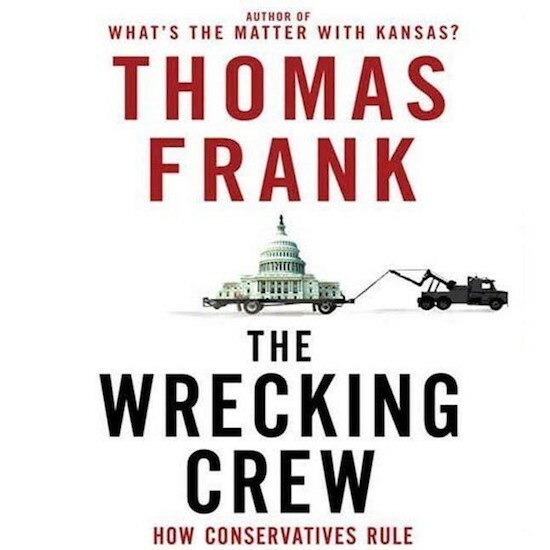 Now is a time to read The Wrecking Crew, Frank’s 2008 history of how the conservative movement chooses to make government not work rather than simply end it. Young millennials, those who know George W. Bush mostly as a painter, might not know this but the corruption we are about to see isn’t new. Of course Trump is surrounded by lobbyists, but as Frank shows this is nothing new. By making government corrupt and ineffective, conservatives can then point to the resulting failures as proof of their ideology. Republicans won’t repeal Dodd-Frank, and it’s likely that the media will portray this as a step of moderation, or as a balancing move of pruning back overreaching and ineffective regulations. But what it will really do is simply make the best parts of Dodd-Frank work significantly less well. They’ll repeal the ability to resolve large financial institutions and then blame Dodd-Frank for not ending Too Big to Fail; they’ll make the Consumer Financial Protection Bureau much less effective and blame the regulators for not tackling fraud. This is also why we shouldn’t assume that the chaos from repealing the ACA would be a check on conservatives; that chaos can be then sold for even further deregulation and privatization. It’s a ratchet effect, one that always allows them to push towards more failure and wreckage. Trump, no doubt, will have no problem with this. Again, since liberals have no incentive towards poor governance, this is an issue we can let them own. Liberals are hoping that contradictions of where the Republican Party is right now will both keep it in check and allow for strategic alliances. But there is nothing that conflicts with Paul Ryan’s libertarian plan of deregulation, cuts to income support and windfalls for the rich, and Donald Trump and Steve Bannon’s plans for an aggressive white nationalism. There is one conflict on the horizon, however, one we’ll need to use. We’re going to see how universal programs get an extra saving throw, as Trump’s welfare chauvinism could make it very difficult for Paul Ryan to privatize Medicare in 2017. Trump has no desire to take the political heat over this. But we shouldn’t assume that this problem is generalizable to the Republicans as a whole. Now, personality-wise, there’s going to be a ton of conflicts. And maybe ego and power jockeying can open opportunities. But progressives should be aware that it will not be hard for Trump to bend the GOP towards his program, and it will not be hard for conservatives to justify it with time. Talking with a lot of financial and conservative sources about Dodd-Frank repeal a month ago, the general sense was “it doesn’t matter, we won’t win the White House.” Now suddenly they have, and they have to go through with a lot of things they didn’t necessarily expect. Trump’s White House is likely to be an incompetent and petty one, which gives us an edge. They aren’t ready with a replacement for Obamacare. They aren’t ready for the heat of privatizing Medicare, or weakening Medicaid. There are constituencies for both, and town halls can be flooded and people organized. Those who desperately wanted a change towards economic security are going to be surprised that the factories aren’t coming back and that they signed up for a libertarian kleptocracy instead. But we should also be clear on the challenges of their policy agenda, and that the cracks won’t appear by themselves.